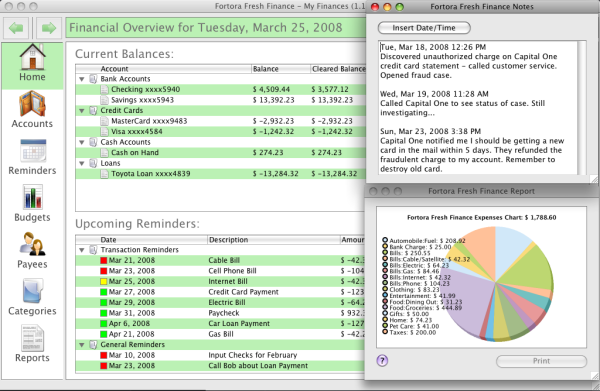 Fortora Fresh Finance is the straightforward personal finance software for everyone. With Fortora Fresh Finance you can easily manage your personal finance-related tasks, such as balancing the checkbook, keeping track of credit cards, bill reminders, budgets and more. And you can easily generate reports to see where your money is going. Fortora Fresh Finance's streamlined user interface has an easy learning curve, and you will be up and running in a matter of minutes.